It’s apparently not well known because of a lack of publicity, but a study this year showed credit cards can now be turbo-charged when it comes to paying off auto loans. 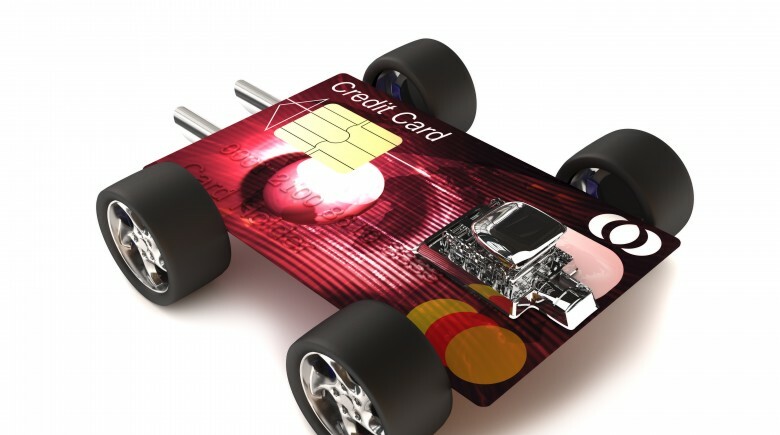 Non-revolving debt such as auto loans can become credit card debt, said a study by CardHub.com. To the consumer, it is mostly good news – a good bump in the road. The most obvious benefit using credit cards to pay off non-revolving debt is savings on interest payments. These are provided when the non-revolving debt is transferred to a credit card with a zero per cent introductory interest rate. Credit card-holders with auto loans and other borrowers already know there are introductory no interest rates that last at times for a year and half in that category. Some offers from Citi even extend that time frame to almost two years. But in addition, such a transfer converts a collateralized type of debt into an unsecured loan. What that obviously means is using the credit card allows users to pay off debts like auto loans (or mortgages, among other debts) without worrying about the car or house being repossessed in case of default. Are there are downsides, of course. For one, when the card’s introductory rate APR expires, the regular rate will be in the double digits. That is far higher than what most people are likely to be paying on a car loan or a house payment. So is this a good deal for the consumer? It depends but the answer is mainly yes. CardHub in its study surveyed 11 card issuers. They found that seven of them, including Capital One, Citi and Wells Fargo, allow customers to transfer most types of consumer debt. Even Student Loans were included. What all issuers have in common: They prohibit the transfer of debt between two of their own credit cards, according to the study. Just how much can users save? As much as $1,000, suggested company officials. For auto loans, CardHub identified PenFed’s Platinum Rewards Card and Discover’s it Card as offering the highest potential savings. The conversion of an interest-carrying non-revolving debt into a zero per cent-APR credit card debt is an obvious money saver, at least for the duration of the introductory period. There’s also another advantage: The secure feeling of converting secured debt into unsecured debt. There are, of course, balance transfer fees. But they pale in comparison to the advantages, and the fees are easy to calculate. More problematic: whether or not users are able to pay off the transferred balance before the zero per cent interest rate expires and the regular one begins. In addition, those zero balance transfer cards might at some point be an endangered species. There’s no guarantee they will not expire at some point. So the best advice is to take a close look at the introductory interest-free period and be aware of its limitations. Fore careful users of this option, it is a no-brainer money-saver. Of course, zero interest transfer rates are only offered to those with excellent credit. Nothing wrong with that, as long as borrowers meet the requirements. These are borrowers who have proved they can manage debt. They have shown caution and done their homework, in other words. So if you are still among those unaware of this new development, this is an area worth further investigation. Even those individuals who are concerned about their possibly shaky credit rating have nothing to lose by taking a closer look at the details.